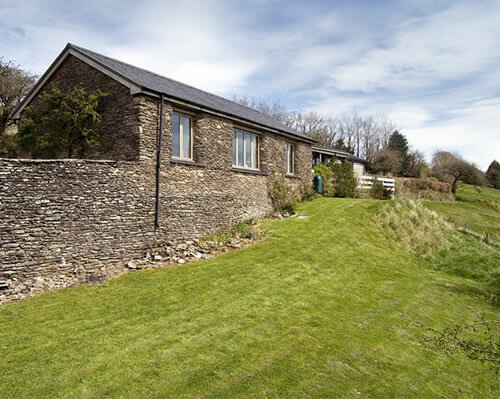 Pet Friendly Self catering cottage Withypool in the heart of Exmoor. Hillway Lodge enjoys a unique situation in the heart of Exmoor National Park making it ideal for dogs and owners. The holiday cottage is set within Hillway Farm, a 62 acre hill farm perched high above the Barle Valley, the cottage has stunning views over the farmland to the moorland of Withypool Common. A very light, bright cottage. Recently converted, the south-facing cottage is a single storey building, very light, bright cottage. it is very well insulated with double-glazed windows and night-store heating. There are three bedrooms, all with amazing views south across the garden and down to the River Barle. The double room has a communicating door to the first twin room, through which you have to walk to get to the rest of the cottage. Both rooms have french windows leading to the south-facing balcony above the garden. Local Area - Hillway Farm Withypool Somerset lies between the ancient monuments of Tarr Steps and Cow Castle. Also within easy reach are: Wimbleball Reservoir, Doone Valley, Dunster Castle, West Somerset Railway, Lynmouth and Lynton linked by their funicular railway and a range of famous gardens. Dog Friendly Places - Many local dog-friendly walks & pubs. Facilities - Linens provided - electricity included as part of the rent - Yes small Children - No Smoking - Off road parking - TV, DVD, CD/radio/cassette, books and games. dishwasher and microwave. A washing machine is provided. The bathroom has a shower over the bath. Outdoors: More than 1 acre. Location: Countryside, Scenic views. Payments accepted: Cheques/other, Cash. Guide Prices - short breaks are available out of season .